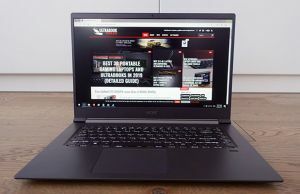 Summary: The Acer Spin 7 could be the one for you if you're after a fanless convertible with a larger than average screen (14-inch), slim profile, fancy looks and excellent build quality. On the other hand, if you're after the best bang for your buck or the best features available in a modern 2-in-1, you might want to look elsewhere, since Acer charges a premium for this laptop, but some of its aspects are far for being premium, like its non-backlit keyboard, average screen, speakers or battery. 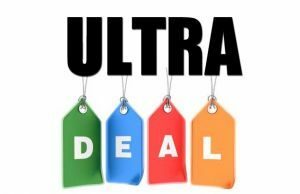 If you’re in the market for a convertible ultra-portable, there are many solid options to consider. 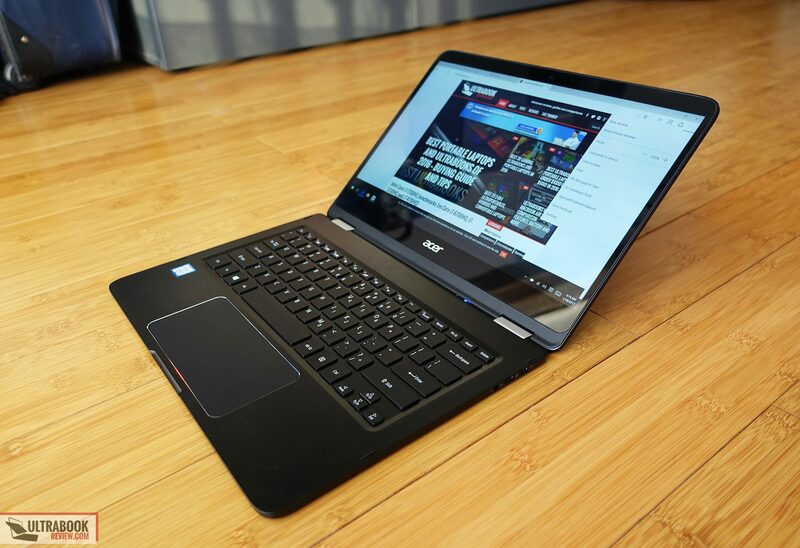 However, if your criteria include a slim and sturdily built body, a larger screen and especially fanless hardware, you’ll only be left with a handful of picks and the Acer Spin 7 is one of them. We’ve spent some time with it lately and we’ve gathered out findings in this article. 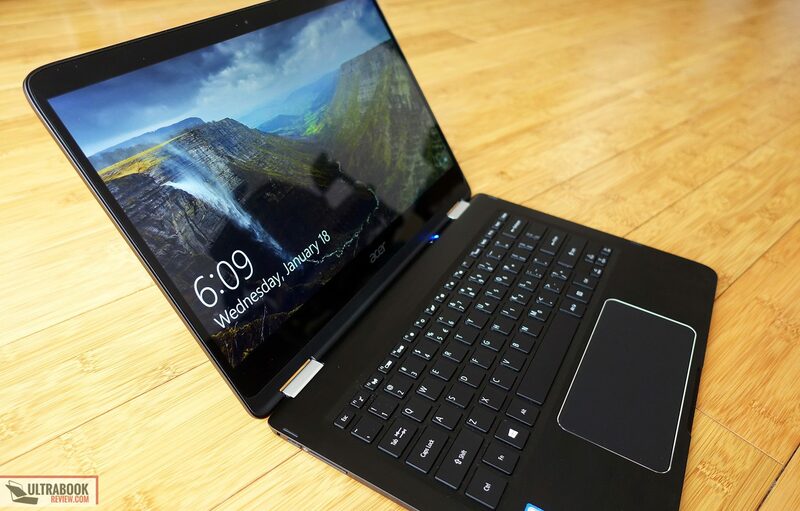 The Spin 7 is built on a Kaby Lake Core Y hardware platform, which is its main selling point and at the same time the main reason why this might not be for you. 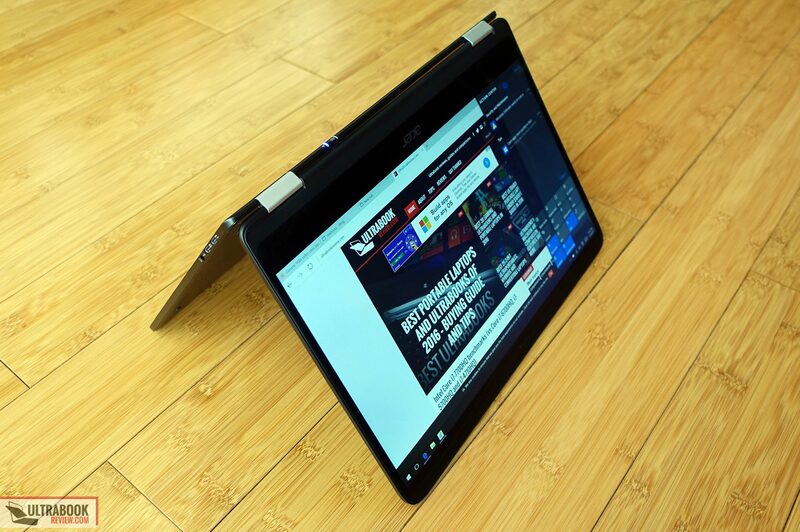 A Core Y laptop like this one won’t offer the performance you can expect from a Core U device with multitasking and more demanding loads, yet it can still handle everyday activities like browsing and watching videos perfectly fine. 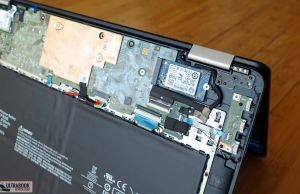 At the same time, it runs dead-quiet and requires less energy, which actually allows the OEM to create a slimmer computer with a smaller battery without sacrificing battery life (much). 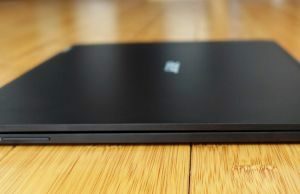 Some corners were cut though in order to make the slim profile possible, so it should be no surprise this computer gets limited IO and a short-stroke keyboard. I’m not going to spoil the article for you before it even begins, but whether the Spin 7 is the right device for you is based entirely on whether you greatly value a fanless experience or you can live with a fan. 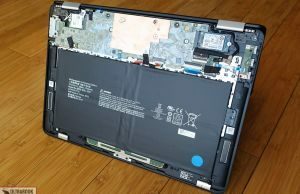 If the fanless hardware is a must, the Spin 7 should be on your list, but if you don’t mind the fan, your money would be better spent elsewhere (like on the HP Spectre X360, for instance). 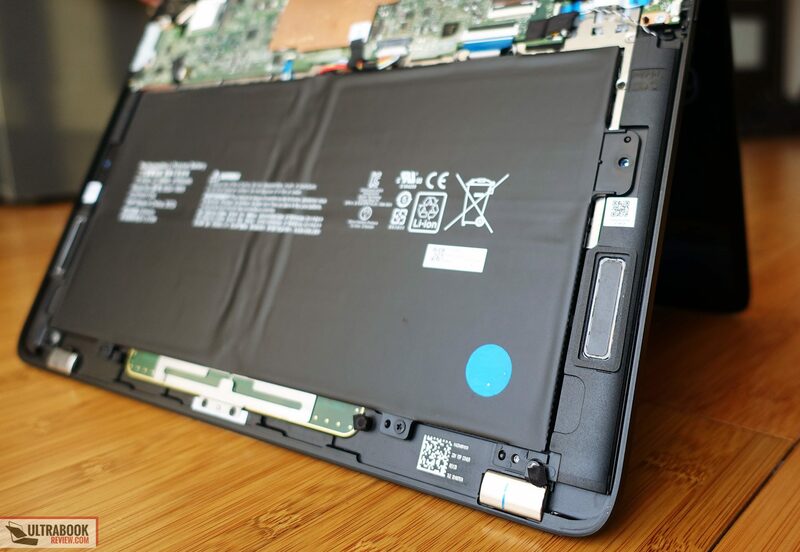 Read on to find out more about this laptop, where it shines and where it fails. 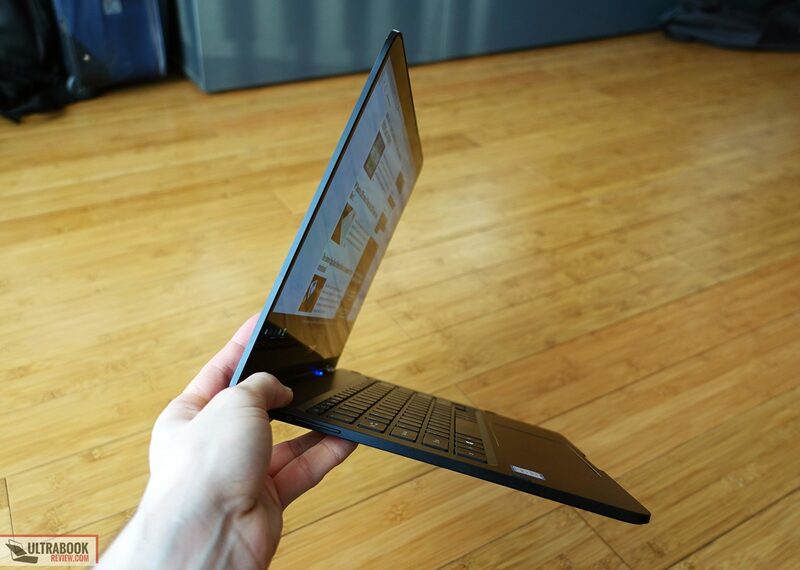 The Spin 7 is one of the slimmest 2-in-1 laptops available right now and at the same time one of the sturdiest built. 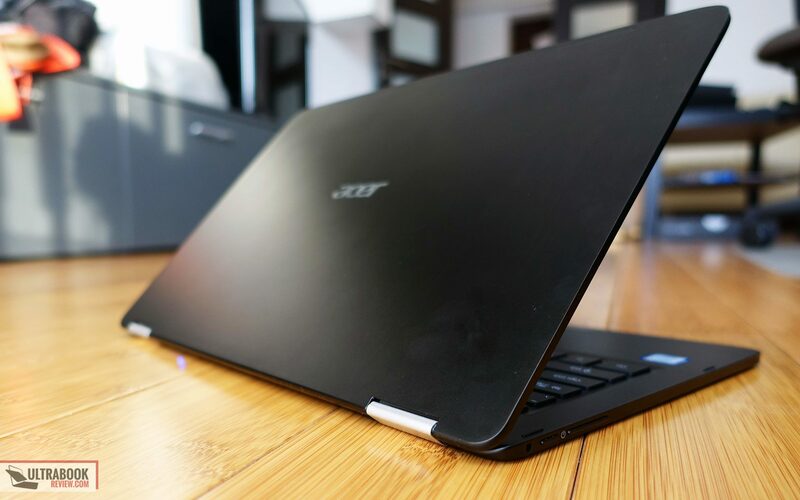 Acer went with an aluminum unibody construction and as a result the notebook feels strong and shows almost no flex in the hood or the lid-cover, despite its slim profile. 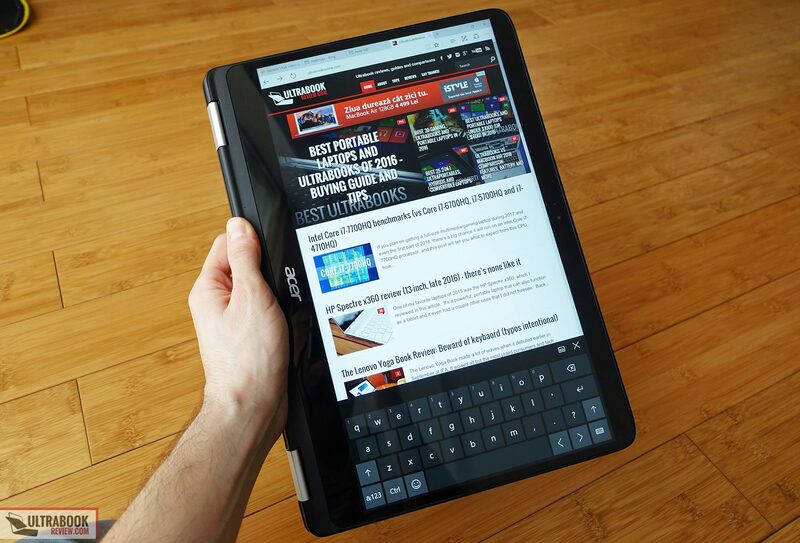 This matters even more on a convertible computer, one that’s designed to live its life not just as a notebook sitting on a desk or in a lap, but sometimes as a tablet or something in between. 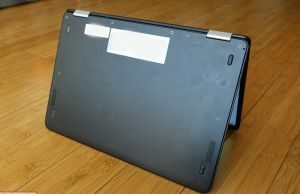 The smartly built chassis, corroborated with hopefully reliable hinges, means this computer won’t break easily and you’ll be able to make good use of it for a long while, and on top of that, the matte finishing shouldn’t scratch easily either. 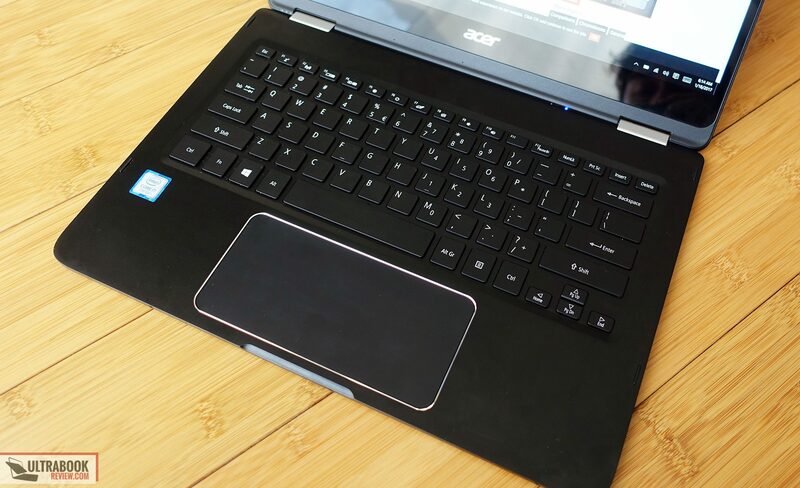 Now, the Spin 7 is just one of Acer’s ultra-slim notebooks. A while ago we reviewed the Swift 7 and I’ve complained about its fairly large footprint, which it actually shares with the Spin 7. 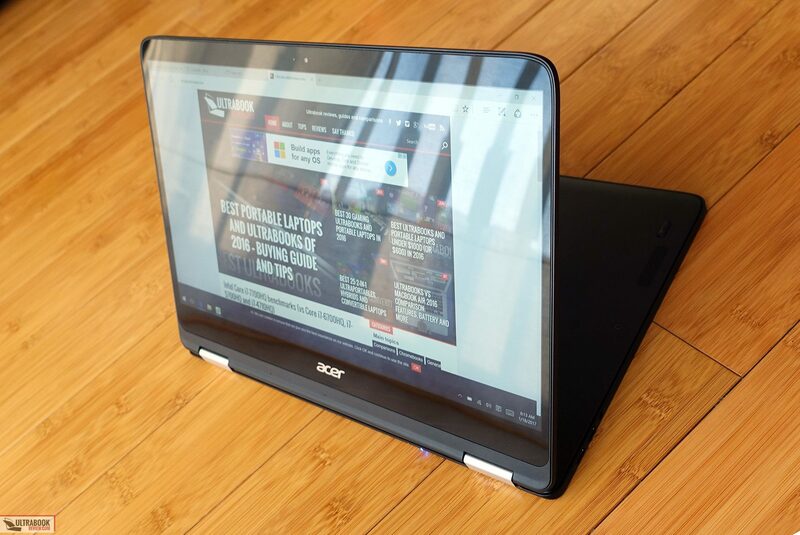 However, Acer went with a larger 14-inch screen on this model, so while there’s still a fair amount of space left on the bottom of the display, the top and lateral bezels are narrow. So yes, the Spin 7 still has a pretty large footprint, but it also gets a larger screen. 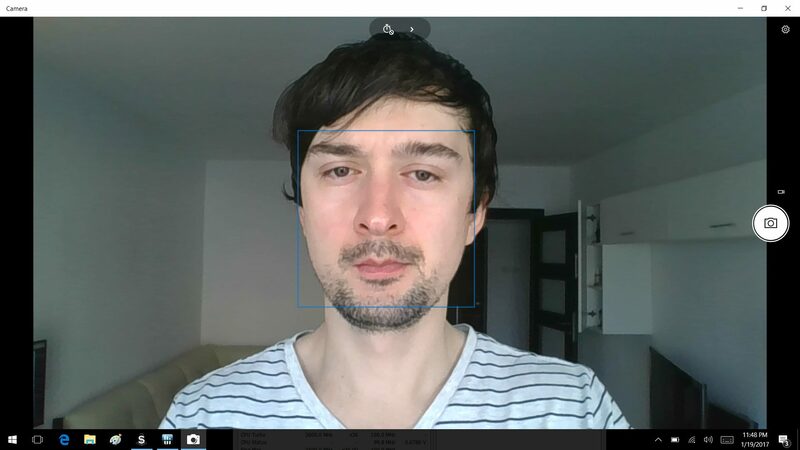 Plus, that lower lip and the way it is designed make for an excellent handle to hold the device from in tablet mode. 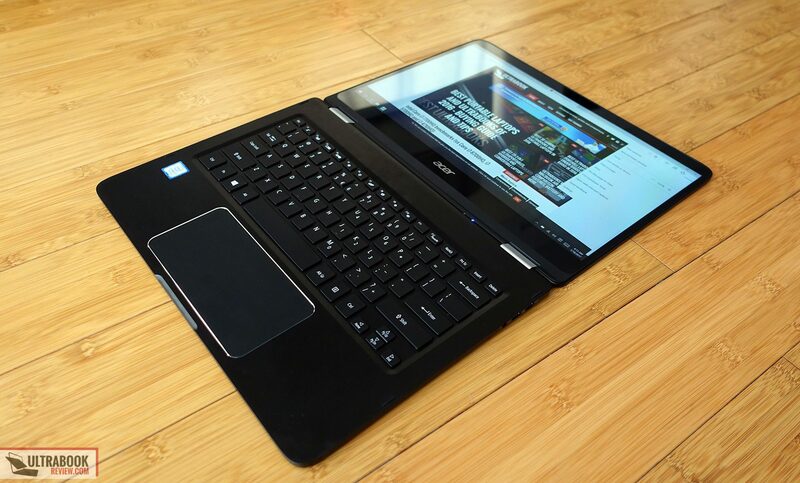 Speaking of that, the two halves of the Spin fit great on top of each other in both laptop and tablet modes. Magnets help with keeping them tied together in both cases, and that’s just one of the small details that make life nice with this computer. Let’s just say you have the Spin 7 closed on your desk. The front sides are rectangular and have a crease that allows to easily grab the screen and lift it up. You can do that with one hand btw, as the hinges are smooth, perhaps even a little too soft, as they fail to keep the display in place when you’re moving the laptop around, but that’s not such a big inconvenience. The screen is not top heavy in notebook mode and the hinges allow the screen to rotate to 360 degrees. Overall there’s little to complain about using the Spin as a laptop, but I could knit pick on the fact that the rubber feet on the bottom are small and lack grip, which causes the device to slide away easily on a desk. Oh, and there are also those pesky status LEDs placed beneath the screen, really annoying when watching a movie in a dark room. Tablet mode is surprisingly good as well. As mentioned earlier, the screen and bottom fit perfectly one on top of the other and are tied together with magnets. 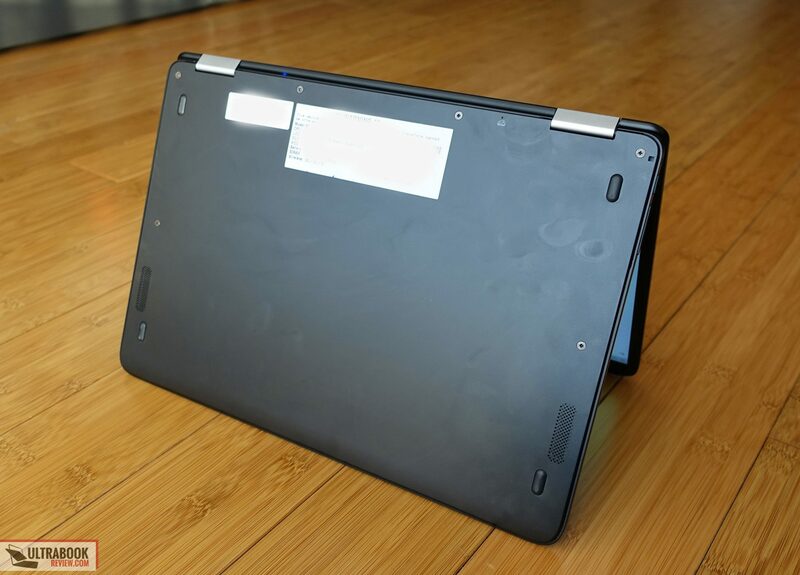 The back sides of the laptop and screen, the ones that include the hinges, are actually smartly rounded, so holding the tablet from this part is comfortable and practical, as you can see from the pictures below. 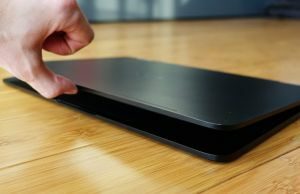 And yes, the Spin 7 is still fairly heavy to hold with one hand, but it does great as a couch slate as long as you lean it on something. 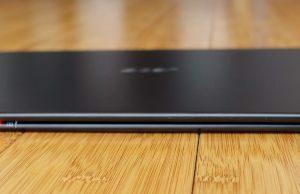 The Spin 7’s functionality is somewhat crippled by its limited IO, as you only get two USB 3.1 slots and a headphone jack on the right edge, while the left side houses the power button and a volume rocker. That means you’ll need adapters or an external USB Dock to get the most out of these ports, but some adapters are actually included in the pack. 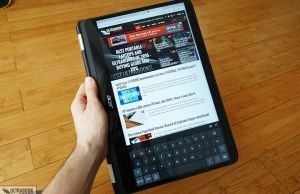 Now, many other ultraportables go this route these days, so I’m not going to hold a grudge against Acer for doing it too. But it would have been nice if at least one of those ports would have supported Thunderbolt 3 capabilities. One other thing I should mention about this laptop concerns the aesthetics. The Spin 7 is available in a single color scheme, with an all black case and a matte finishing. 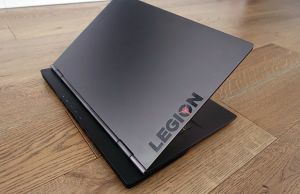 Many will like this kind of sober looks and I think it also sets this computer apart from the competition, as most other laptops get a silver scheme these days. Just keep in mind that this kind of anodized metallic surfaces show smudges and fingerprints easily, and dents and scratches are also very obvious on them if you chip the outer coating. 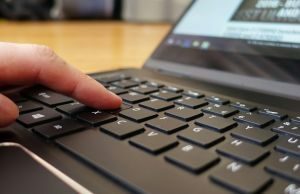 The keyboard on the Spin 7 is pretty much identical to the one on the Swift 7, which means it gets properly spaced 14 x 14 mm keys and a decent layout, with no screw ups. The directional keys are a bit small, but hey, that’s a given on all ultraportables. 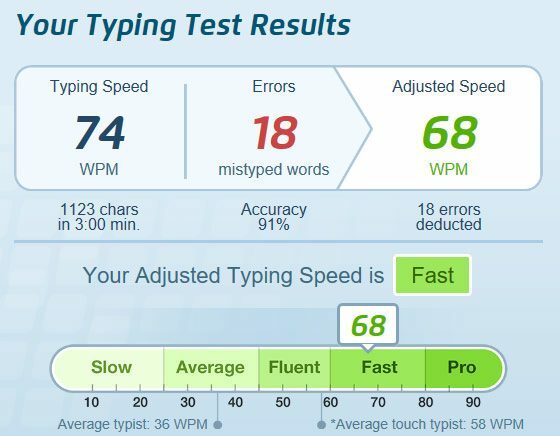 The typing experience is alright once you get used to the fact that the keys are rather shallow (50 g of resistance, according to Acer) and don’t travel much inside a frame (1.2 mm), which is going to lead to a lot of typos in the beginning. 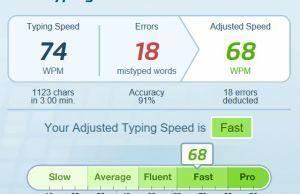 The average user will probably get along fine with this keyboard though, and will appreciate its fast speed and quietness, but a heavy typist will probably want to look elsewhere. 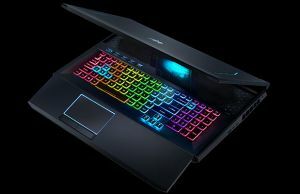 Still, my biggest issue with the keyboard and my main nit with the laptop as a whole is the lack of back-lightning, which for me is just unacceptable in this day and age on a $1200 computer. 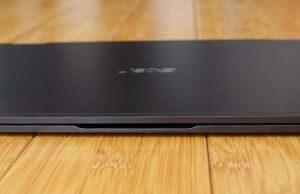 I reckon Acer were forced to go with this solution in order to make that slim body possible, but sacrificing functionality for aesthetics is never a good idea if you ask me. 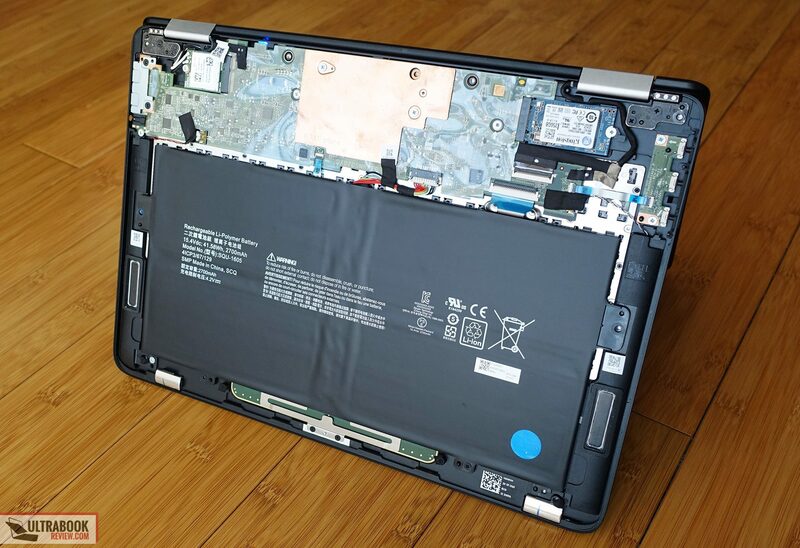 A very big trackpad sits beneath the keyboard, somewhat similar to the one HP uses on the Spectre x360. It will seem odd at first, but you’ll get used to it after a little while, especially since it does a great job at rejecting the palm and not registering any false clicks or taps. 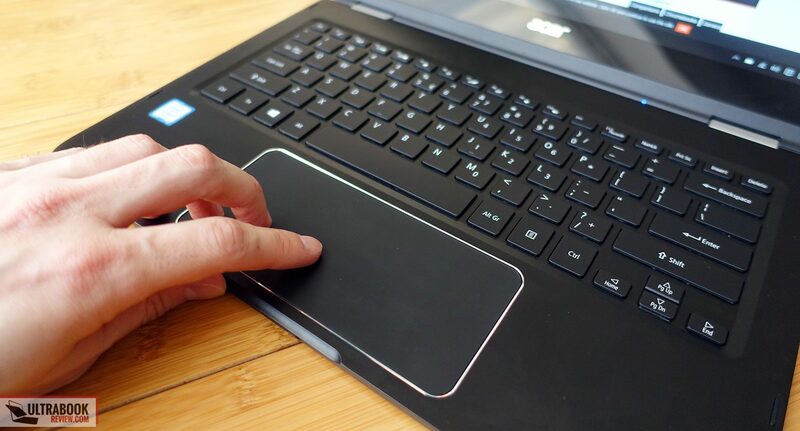 In fact, I haven’t notice anything weird about this trackpad during my time with the Spin 7. 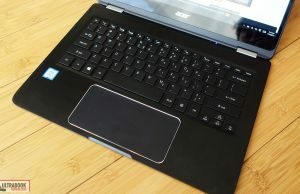 It’s a glass Synaptics surface with a nice feel, solid performance and very smooth physical clicks as well. 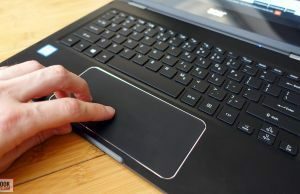 I’m pretty sure the same kind of trackpad was used on the Swift 7 I tested a while ago and back then I ran into some issues with the jumpy cursor, but this wasn’t an issue with this model. Still, people on Amazon and the forums do have some complains about this trackpad’s feel and especially poor gesture response (jittery two finger scrolling, among others), but again, I didn’t ran into those on this test model. Perhaps I was just lucky, but make sure to test the trackpad properly if you decide to get a Spin 7, just to make sure it works the way you’d expect. 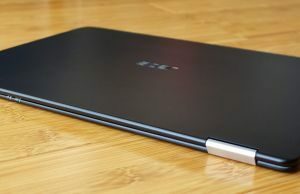 Acer puts a decent display on the Spin 7, a 14-inch touchscreen with an IPS panel, no digitzer and a layer of Gorilla Glass 4 on top of the panel. Just like with the keyboard, I think most people will find this good enough for daily use. It’s not that bright though, at least not according to my Sypder4 sensor, so it will struggle outdoors or in a very bright room, plus it does show traces of light-bleeding around the edges and its colors are rather skewed out of the box, but you can use our calibrated profile to improve their accuracy. 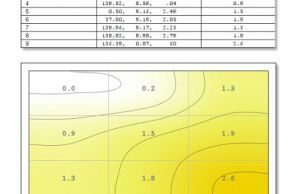 Check out the numbers below for more technical details on this panel. 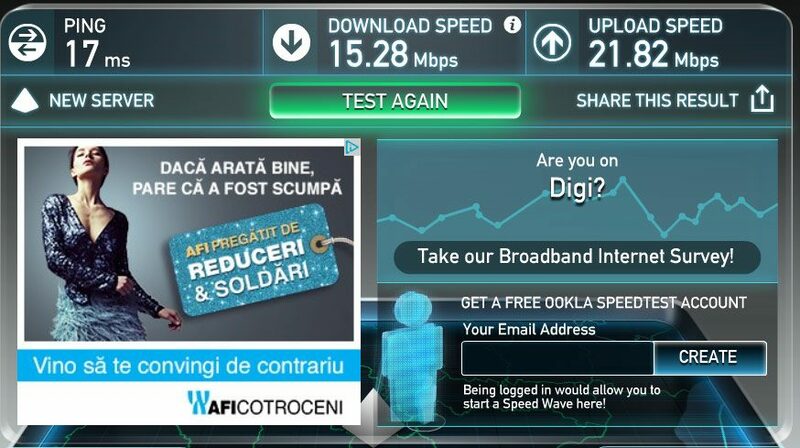 Average DeltaE: 3.46 uncalibrated, 1.13 calibrated. There’s one more thing you must be aware of. 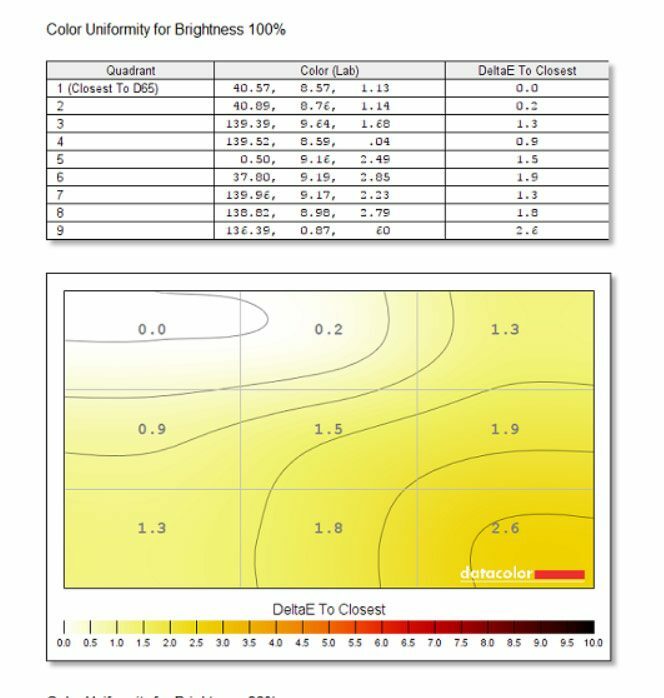 There’s a light sensor on this laptop, set by default to automatically adjust the screen’s brightness based on the amount of ambient light around. 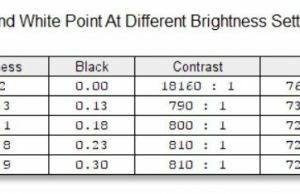 That causes continuous fluctuations and adjustments in certain cases, especially in darker rooms, so I advise you to turn Auto brightness Off from the Power Profiles and adjust the screen’s brightness manually. Our review unit came with an Intel Kaby Lake Core i7-7Y75 processor, 8 GB of DDR3 RAM and a 256 GB SSD, which is the exact configuration you can also find in stores for this laptop. 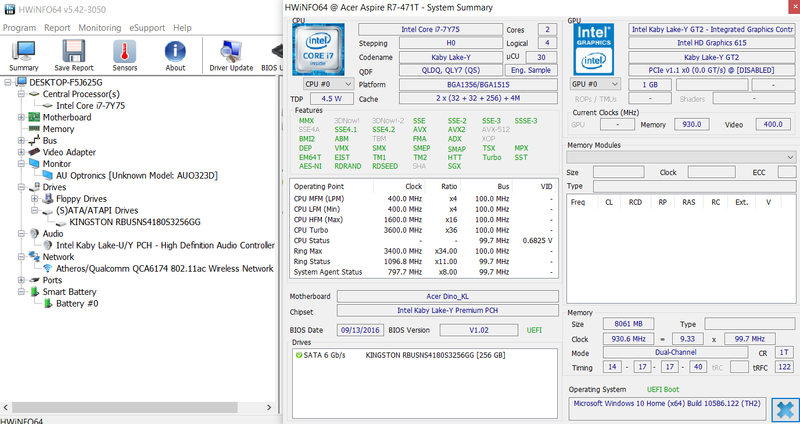 There’s no option for more RAM and there’s no way to add more either, since the memory is soldered on the motherboard. The storage is upgradeable though and you can get inside by removing the back panel that’s hold in place by a handful of standard Philips screws. 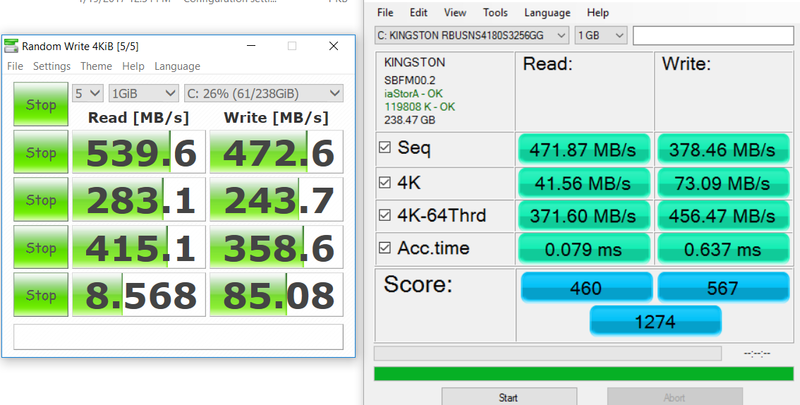 Acer went with an mSATA form-factor SSD, not the more widely spread 80 mm M.2 standard, which means you won’t be able to put a faster drive in there, but you can put a larger capacity one if you want to (up to 512 GB). 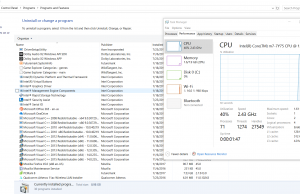 Still, don’t forget there’s only so much you can demand from a Core Y platform, which is not made for serious multitasking or demanding loads, but rather for daily use: browsing, editing documents, listening to music, watching video content and so on. 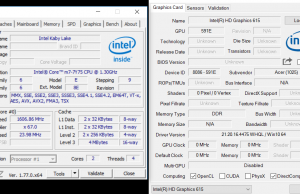 It can also run Photoshop or lighter games like Minecraft if you want to, just don’t ask very much out of it. 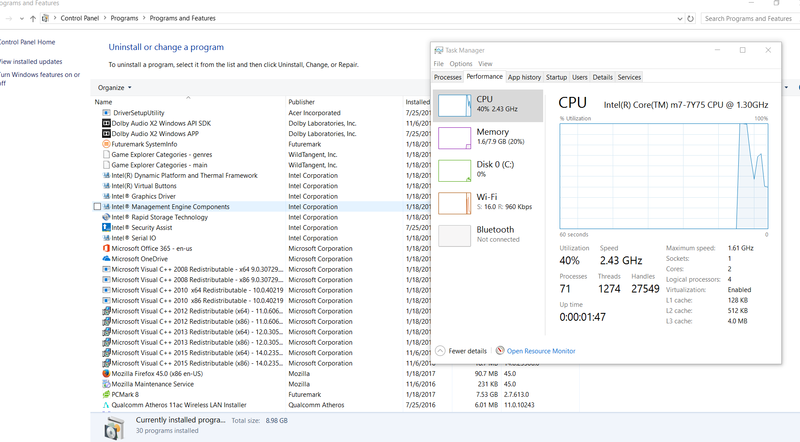 Oh, and don’t forget to get rid of the bloatware that comes with this laptop in order to get the most out of it, there is a bunch of useless preinstalled software that can drag performance down and should be uninstalled. Or better yet, do a clean Windows 10 install. 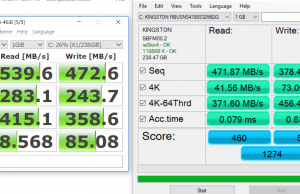 I’m not going to add benchmark results to this post because our review unit was a pre-production model with obsolete drivers at the time of the test, and didn’t work to the best of its abilities. 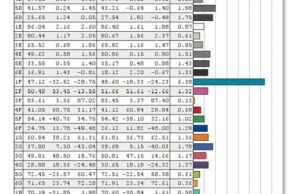 But you can find more accurate results in here, in case you’re interested in hard numbers. Like I mentioned in the beginning, the Spin 7 is a perfectly quiet computer: the hardware is passively cooled and doesn’t require a spinning fan, there’s no mechanical storage unit and I haven’t notice any electric noise or coil whining either. If you’re like me and use your computer in quiet rooms, this particular aspect is a huge selling point for this one. The Spin also runs cool with daily use, as you can see in the pictures below, but it can get quite warm with serious multitasking and taxing loads (gaming in our test, but at awful frame rates). 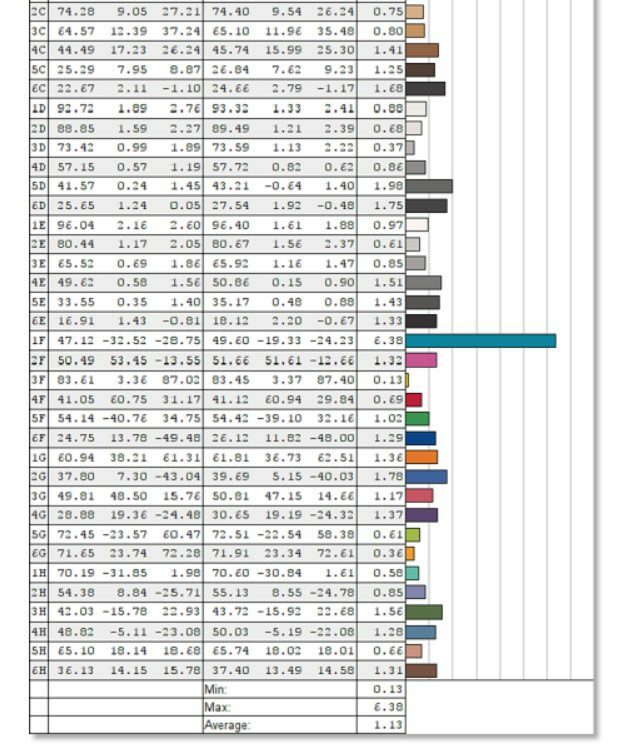 Still, most Core U ultraportables reach similar or higher temperatures under load, with a fan, so I’d say one can well live with the 40-45s reached by certain spots on the bottom of this fanless Spin 7 just fine. 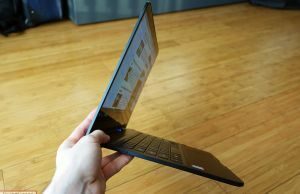 Connectivity wise, this laptop offer Wireless AC and Bluetooth 4.1. 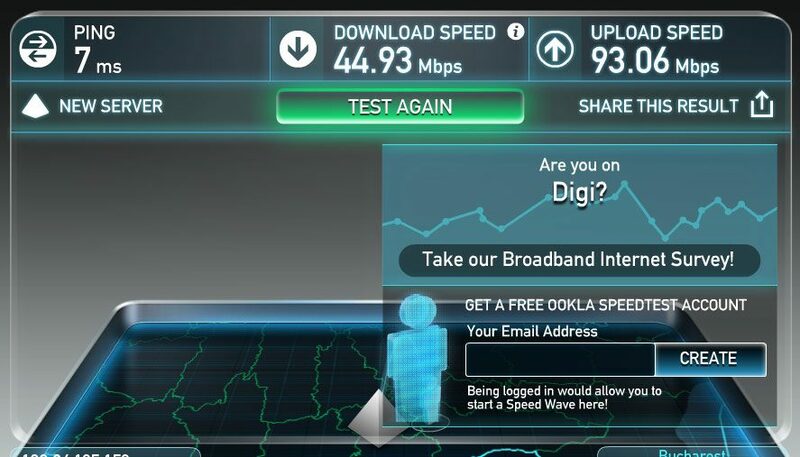 Our test unit came with a Qualcomm QCA6174 wireless module, which performed flawlessly when the device was close to the router and decently at 30 feet with walls in between. See the pictures for more details. 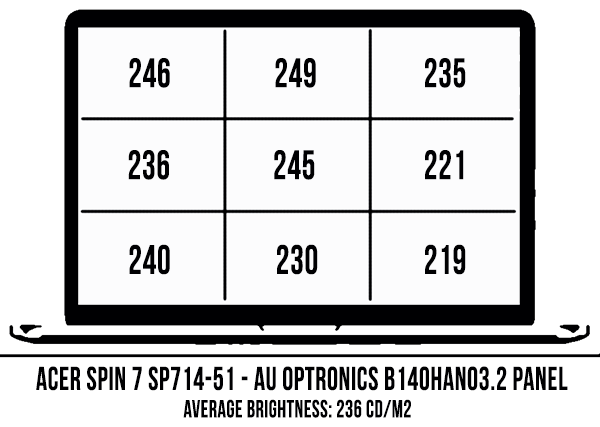 The speakers on this Spin 7 on the other hand are average at best. 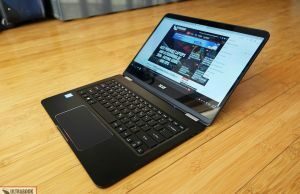 They fire through the small grills on the bottom of the laptop and I was afraid their cuts would be easily obstructed while using the device on the lap, but that didn’t have a major impact on the sound quality. Sound that’s decent for this class, on the tiny side with almost no bass, but that’s common. The speakers’ volume is about average (76 dB measured with the iPhone app), so overall I’d say these are decent for daily use, but far from the best you can find on an ultraportable. 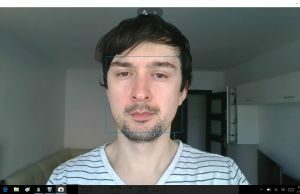 The HD webcam that sits on top of the screen is rather mediocre though, capturing washed out images in good light and grainy and unusable ones in poorer lit rooms. Despite the fact that most of this laptop’s interior is occupied by the battery, its slim profile only allows for a 42 Wh one to be squeezed inside, and as a result the results aren’t great. 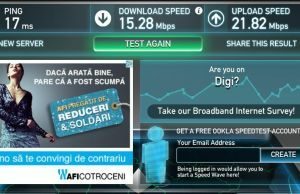 10.5 W (~4 h of use) – heavy browsing in EDGE, Balanced Mode, screen at 40%, Wi-Fi ON. The laptop comes with a 45W power-adapter and charges via USB-C. 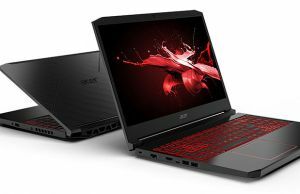 The Spin 7 SP714-51 is available in most regions in the configuration tested here, with a Core i7-7Y75 processor, 8 GB of RAM and a 256 GB SSD. 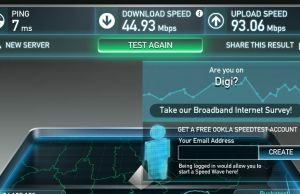 It sells for around $1200 in the US at the time of this test. 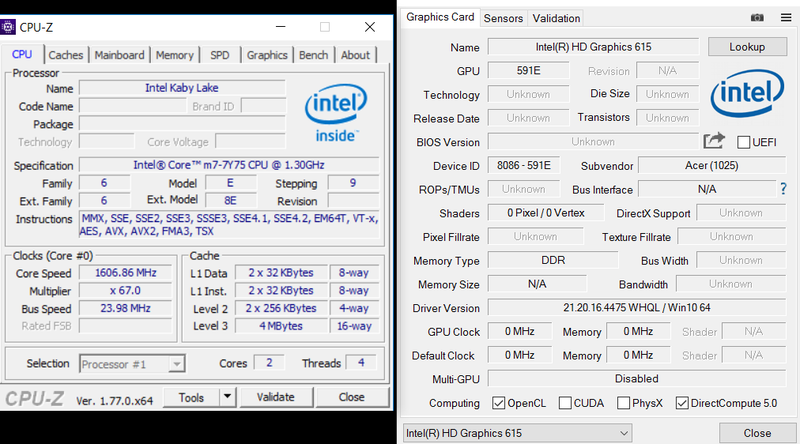 In Europe (where is sold as the Spin 7 R7-471T) you’ll mostly find it for around 1200 EUR with a Core i5-7Y54 processor, a slightly lower clocked alternative, but not necessarily something you’ll notice in daily use. 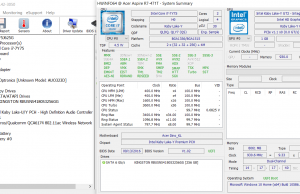 The Core i7 model is also available for 100 EUR extra. That’s definitely not cheap, given you can find many excellent Kaby Lake Core U convertibles for around $1000 these days, so you are paying premium for the form factor and the overall construction. 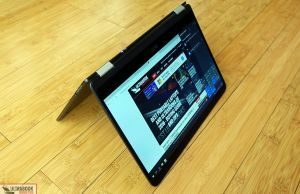 I’m pretty sure you’ll find the Spin 7 discounted as time goes by though, follow this link for the latest configurations, updated prices and user reviews at the time you’re reading the article. 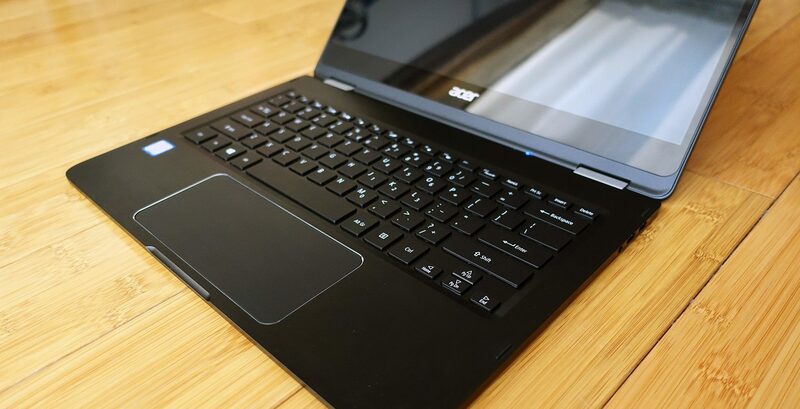 When we draw the line on the Acer Spin 7 we end up with a hat of strong selling points and a few quirks around it. Acer put a lot of effort into creating and very well built, beautiful and practical convertible with a slim profile and reduced weight. And they did a great job at it, if not even nailed it. 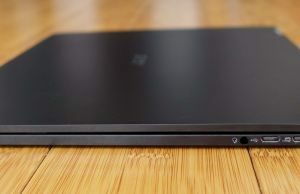 The design and the fanless hardware are the laptops big selling point, but these come with a hefty price tag, especially when we consider the lack of a backlit keyboard, the fairly small battery, the dim screen and average speakers, aspects that matter in the grand scheme of things when spending $1200 on a computer. 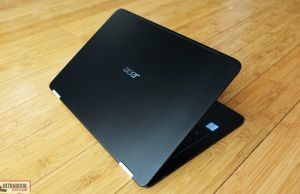 Thus, like I said from the beginning, the Spin 7 is an option to consider if you absolutely crave for a fanless computer, and I totally understand why you would. 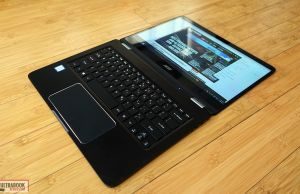 But even in this case you should also check out the Dell XPS 13 2-in-1 (13-inch screen, slightly smaller, larger battery, similar price but available in more configurations) or the Asus Zenbook UX360CA (a little bigger and not as well made, but with a larger battery and more affordable) and see which one best fits your requirements. 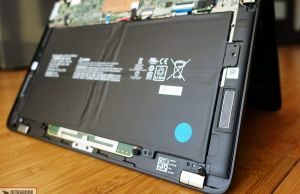 And then, if you can live with a fan (and you might, given how Core U laptops are faster and most of them are able to turn off the fan with daily activities), your options are far more generous, as you can see from this article. 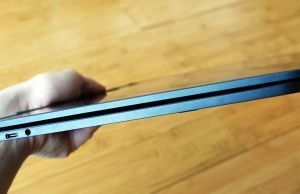 So at the end of the day, while I feel the Spin 7 is a nice device, I also believe it’s not one that offers good value for your money. In the other hand, if value is not your concern and just want a fanless convertible with a larger screen, fancy looks and excellent build quality, then you’ll probably be quite happy with it.